Check out this video produced by the Holistic Cannabis Academy (HCA) featuring Riley Cote of Athletes for Care (A4C) and Mary Lynn Mathre of Patients Out of Time (POT) about how cannabis is saving lives. Patients Out of Time (POT), one of the original organizations “providing a compassionate, science-based education forum for the restoration of medical cannabis knowledge,” showcased the HCA video at its annual conference on cannabis therapeutics, Cannabis: Relieves Pain, Treats Addiction. Riley Cote and HCA co-founder Laura Lagano were both on hand for the video premier. MaryLynn Mathre, RN, addiction specialist, POT founder, and HCA faculty member was responsible for featuring the collaboration at the conference. The conference also served as a vehicle for announcing POT’s endorsement of the Holistic Cannabis Academy as a premier cannabis education program. 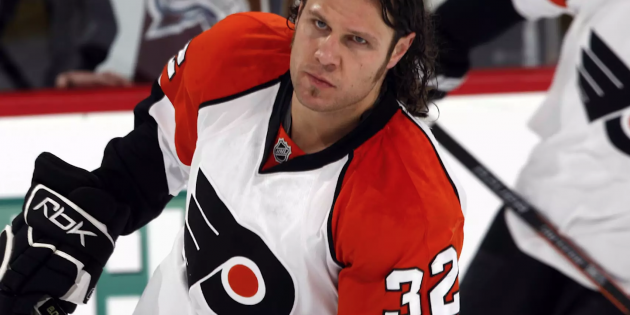 Riley Cote, former NHL “enforcer” and founder of Athletes for Care left the world of professional hockey at the age 28 because of a downward health spiral that included substance abuse. Enter medical cannabis coupled with and significant lifestyle changes featuring nutrition, meditation, and yoga. Following his dramatic 180 about health and living well, Riley founded Athletes for Care, a non-profit dedicated to helping people combat addiction and substance abuse while creating healthier lives. The Holistic Cannabis Academy, an online education curriculum about medical cannabis and CBD, is founded on the same principles promoted by Athletes for Care and Patients Out of Time. The collaboration is a match made in heaven! If you have questions about Cannabis, sign-up for our newsletter to stay informed about practical applications to improve your health and nutrition. PLUS we’ll send you our FREE CBD guide.